Following the sideboard created for the living room, the collection has been extended to introduce #Float in the bedroom too, enhanced by a bedside table, a tallboy and a chest-of-drawerYou can customize it with any of our matt lacquer colors. NOVAMOBILI: Sleep, relax, read. The bedroom can take different functions …. The bedroom can take on different functions. 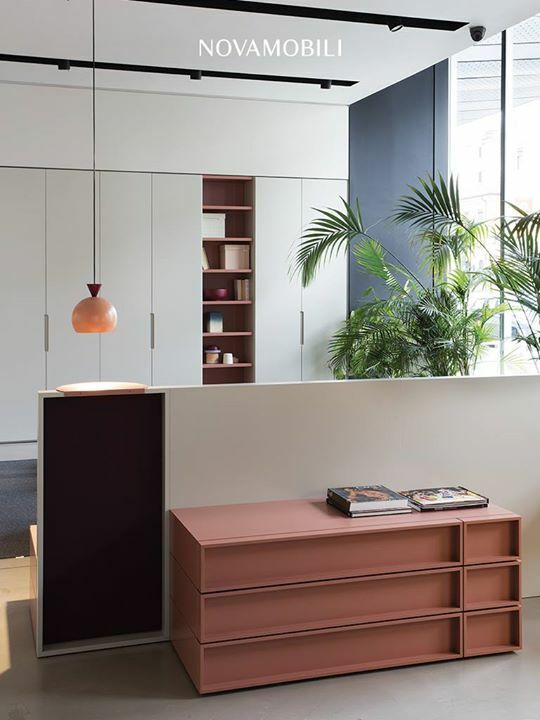 For this, E-ggs designed #CubeSystem, a series of containers with different sizes and configuration possibilities, highlighted by folded folding front panels.